I’m being a bit of a dog with a bone on this one, mainly because no one else seems terribly interested in it. 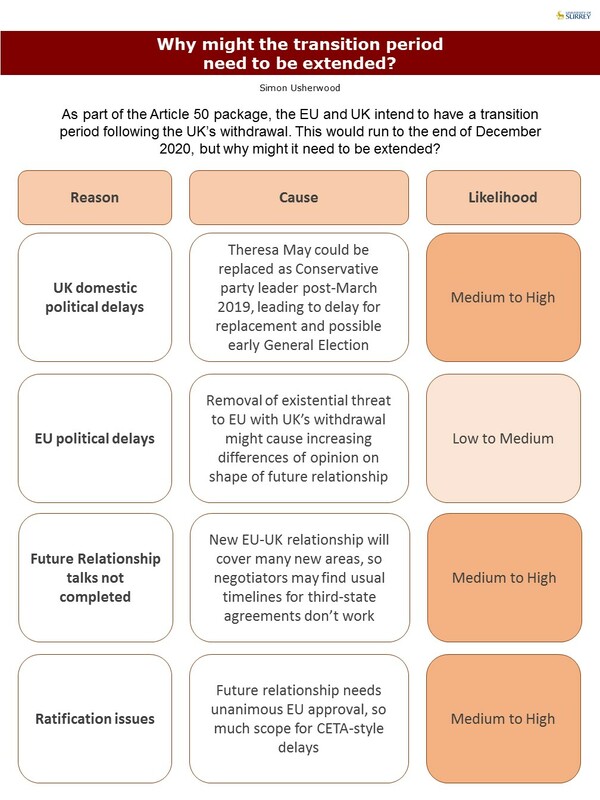 As I’ve discussed before (here and here), the transition phase of withdrawal from the EU has been taken as a given. All parties were happy to sign up to the March text, it’s all highlighted in green, so job’s all done. 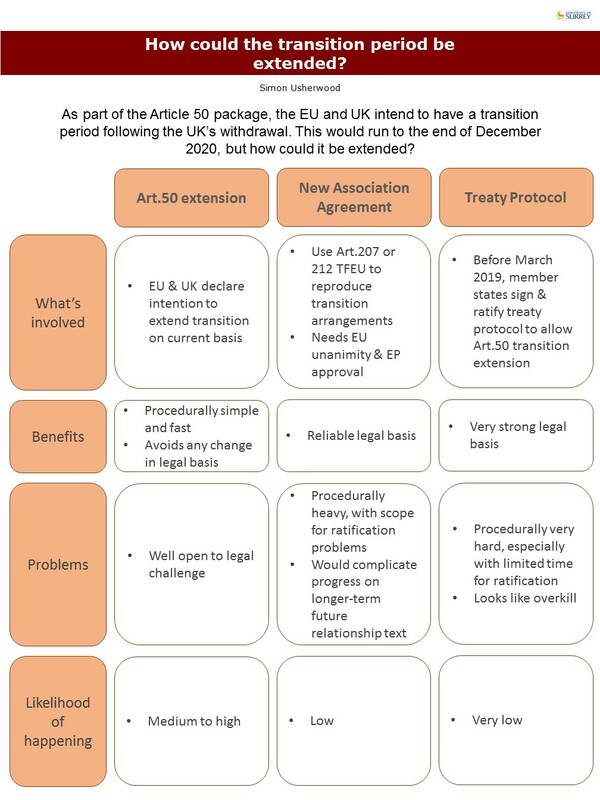 But as I discuss in the infographics below, there are lots of reasons why the transition period might not be long enough, plus various other reasons why extending it might not be an option. In short, we might simply have replaced a cliff-edge in March 2019 with one at the end of December 2020. 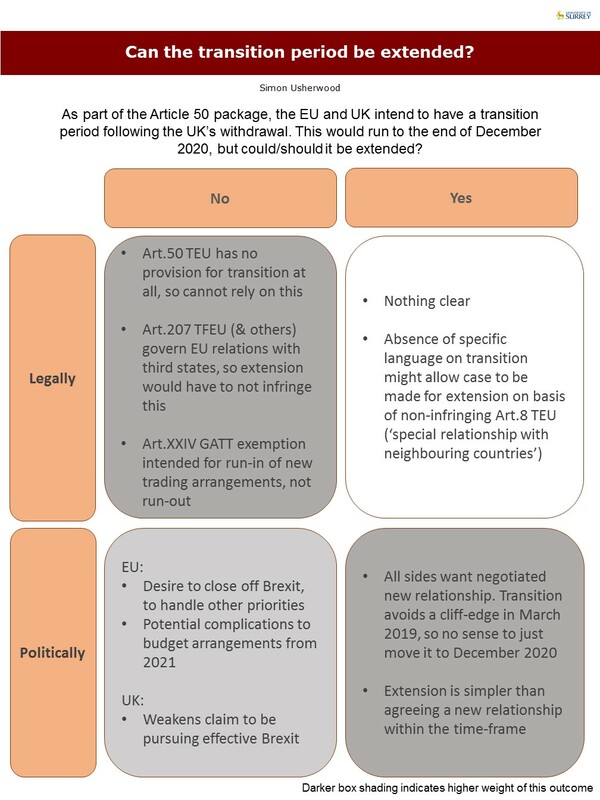 So, some visuals for you, but not one on the consequences of falling off that new cliff-edge, because that’s essentially the same as all the stuff you’ve read about for ‘no-deal’ outcomes to Art.50 (like this). Thanks to all my colleagues online who’ve helped shape these: any errors are mine.